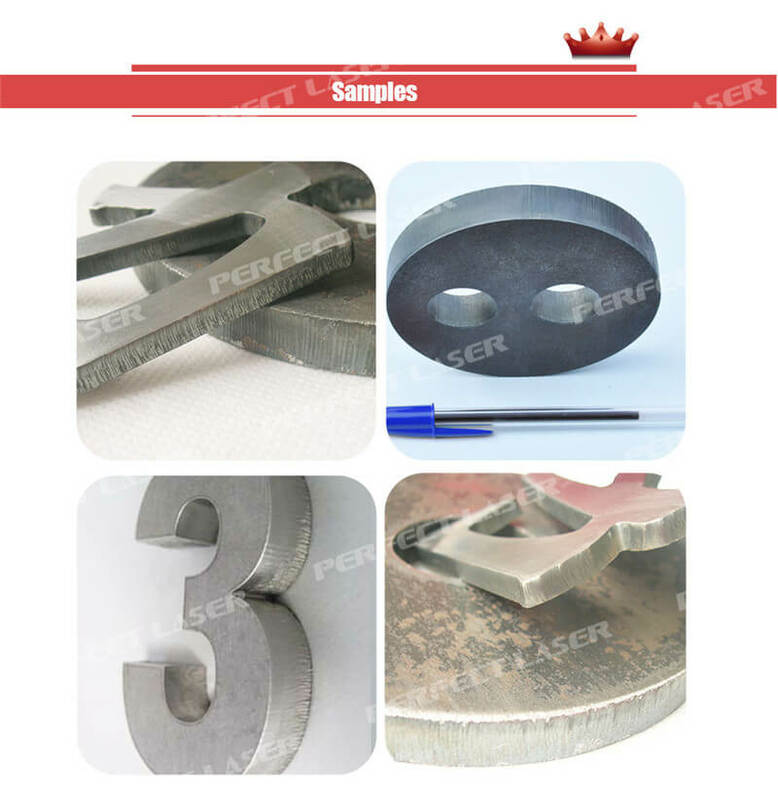 Perfect Laser company specializes in researching and developing production and sales of plasma metal cutting machine for more than 20 years, which has become a well-known CNC plasma cutting machine manufacturers. Our company has strong technical force and long-term accumulation of experience in production management, advanced machine and comprehensive range, 3-10 days can be shipped. This light-type gantry CNC plasma metal cutting machine is combined with three kinds of technology, including computer control, mechanical transmission and gas cutting. The light-type gantry CNC plasma metal cutting machine has the advantages of beautiful appearance, reasonable structure, good quality, good rigidity, high precision, small inertia and work stable. 1.No deformation for a long time: Using the square tube weld the structure beam and after stress relief treatment, with high rigidity, high precision, light weight, small inertia, small inertia, to which ensure that the machine will not be deformed after a long period of time, and has a good assurance both on brand and quality. 2.Stable operation: Using highly precised gear rack drive, Taiwan imported linear guide, Germany imports planetary gear reducer, the longitudinal driving frame are arranged on both ends of the horizontal guide wheel, can adjust the compaction degree of the eccentric wheel rail driving frame at the bottom.So that the machine can be operated under high stability and high balance. 3.Perfect cutting system: Using Sino-US joint venture’s CNC cutting control system, with PLC as the input and output control, the electrical system has excellent stability and strong anti-interference. 4.Two cutting options: single flame cutting, single plasma cutting or flame plasma cutting, to meet different customer’s needs. 5.Careful package: The machine will be debug before leaving the factory. Packaging and transportation after confirm the machine is correct. For the inside layer, the machine is covered by thickening plastic bag for waterproof. For the outside, we adopt wood craft case, to ensure that customers receive intact machines. Applicable materials: Profile iron and steel, manganese steel, stainless steel, nonferrous metal(Stainless steel, aluminum, copper, titanium, nickel)and large, medium, small plates of metal materials. Applicable industries: Shipbuilding industry, heavy machinery, petrochemical industry, Power equipment, boiler manufacturing, machinery manufacturing, aerospace, vehicle manufacturing.